The Dolomites, also called the Pale Mountains, is a large heritage of untouched nature, which can be visited, during the summer, on foot, mountain-bike or horseback. 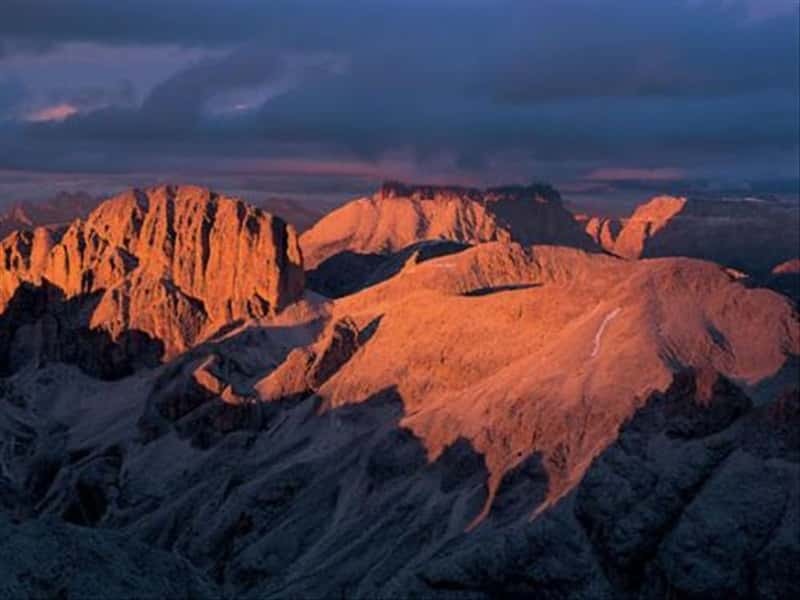 You will be emotioned by the enchanting colours of these mountains: iridescent at dawn and "enrosadira" (reddish colour) at sunset. Without forgetting green and dense woods, with the typical alpine flora and fauna, rivers, lakes and waterfalls. Local gastronomic tradition is strictly connected with the sheep/ox/goat-breeding; for this reason cheeses, salami, honey, Vino delle Dolomiti IGT (both white and red), liqueurs and spirits are the main dishes of this wonderful location. This destination web page has been visited 60,779 times.